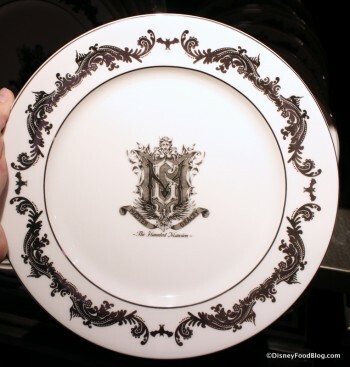 With the opening of Memento Mori in the Magic Kingdom, Haunted Mansion fans now have a souvenir shop to explore! After meeting your Ghost Host, stop in and peruse the shelves of ghastly goodies. We love that many of these items are available online; just click the links provided! Halloween treats continue to materialize in the Disney parks and resorts. We’re especially thrilled with the treats in Disneyland! Memento Mori is now open in Magic Kingdom’s Liberty Square. 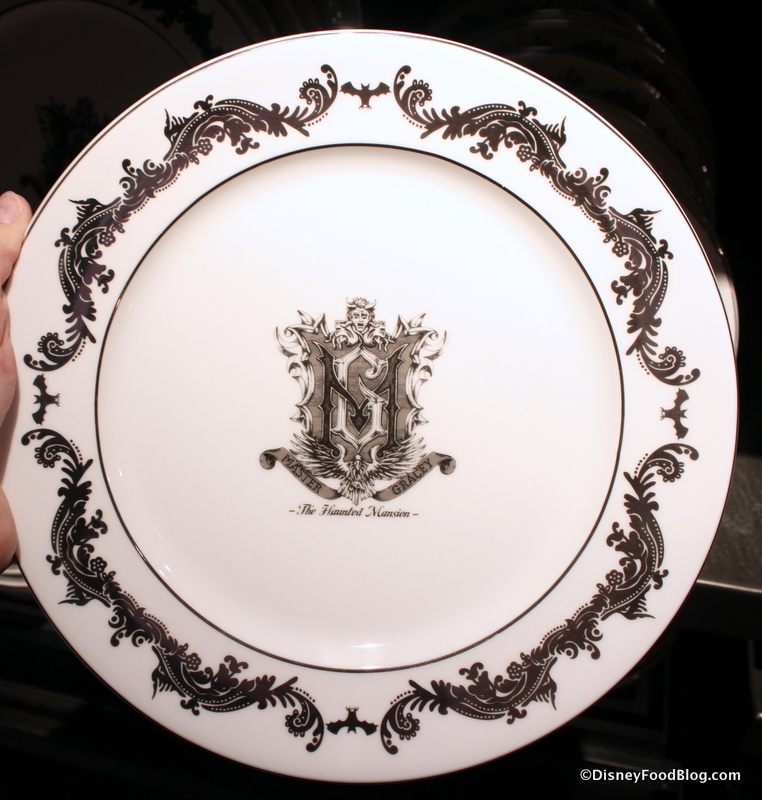 Take a look at some of the ghastly merchandise inspired by the Haunted Mansion! Epcot’s Liberty Inn has added regional American fare to the menu. We taste-tested the Maryland Crab Cakes with Old Bay Fries. Chocolate sculptures are featured in the “From Bean to the Bar” exhibit at Epcot’s Festival Center during the Epcot International Food and Wine Festival. 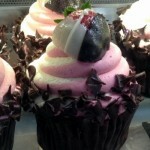 Find out what’s inside the BoardWalk Bakery’s Ghost Cupcake! We shared lots more Halloween Treats from Disneyland, including Zero Premium Popcorn Buckets, the Pumpkin Twist from Maurice’s Treats, and lots more!! Yum! DFB loves the rotational dining, specialty restaurants (Palo!! ), and lounges aboard the Disney Cruise Line ships. 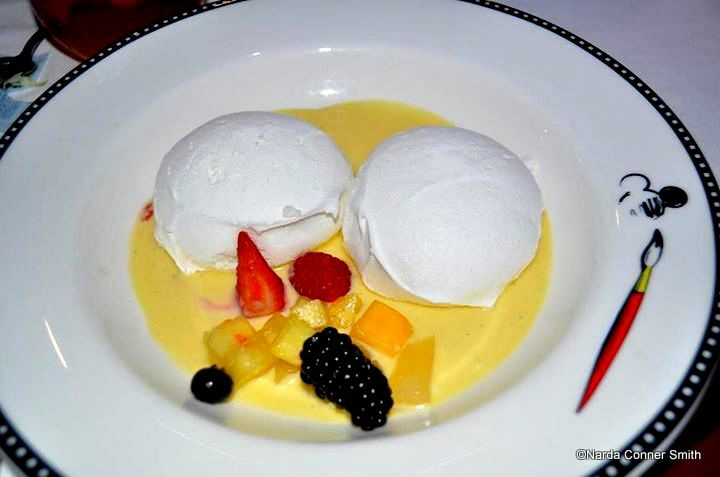 Let’s take a look at some delicious reader finds discovered aboard the Disney ships. And here’s a dessert from Animator’s Palate aboard the Disney Dream. My favorite plates! Do you have a Favorite Find? Please, share with us! 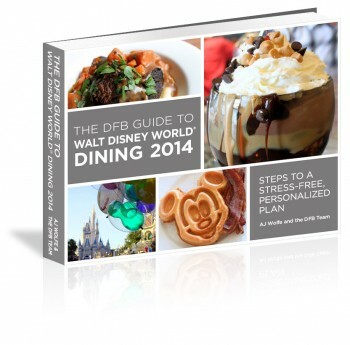 DFB Guide to Walt Disney World Dining On Sale! Want a huge discount on our DFB Guide to Walt Disney World Dining? You’ve got it! This is the last day for our special sale, get $6 off the full price of the guide using code DOLEWHIP! A comprehensive index of bars and lounges. An often under-appreciated option for both dining and entertainment, the e-Book devotes a whole index to the topic. An updated Disney Snacks chapter, including our list of dozens of must-try snacks AND our Top 11 Must-Have Snacks for this year. And the best part is: the price hasn’t changed! Should I buy the Updated Guide if I have the 2013 Guide? 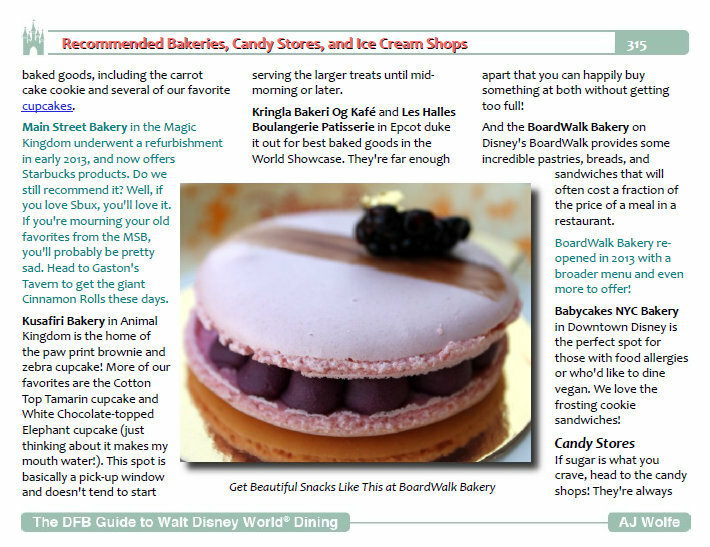 The 2014 Guide has entirely updated information, an updated Disney Dining Restaurant Reviews section, an updated chapter on snacks, a 10-page “what’s new this year in Disney World” section, extended scavenger hunts, Disney Food bingo, added trivia, and more. If you purchased the 2013 Guide and would like to purchase the New Edition, we’ve got a special discount for repeat purchasers. Email me here to get a limited-time, one-use, exclusive discount code to purchase the 2014 Guide at an $8 discount. Please include the email address you used to purchase the 2013 Guide in the body of your email. 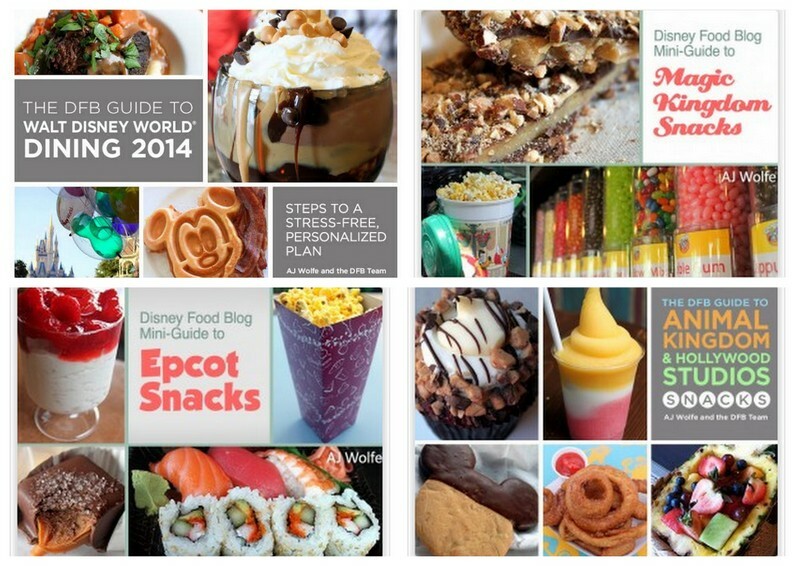 Our Snack Guides vibrantly display and review over 500 Disney World snacks (!! 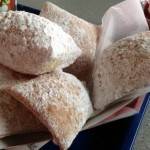 ), but also showcase some our favorite under-the-radar treats and eats in the parks. 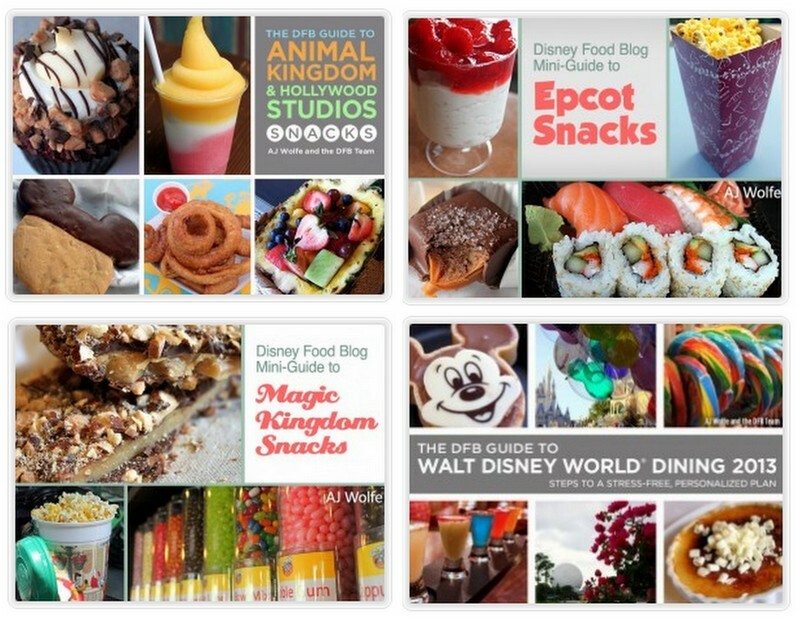 Get your DFB Guide & Snacks Bundle — including the DFB Guide to Walt Disney World Dining 2014, the DFB Guide to Hollywood Studios and Animal Kingdom Snacks, the DFB Guide to Epcot Snacks, and the DFB Guide to Magic Kingdom Snacks — for over 40% off here. 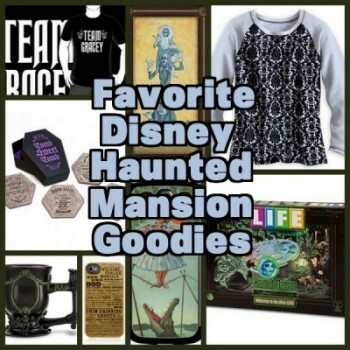 Mickey Fix showcases creepy Haunted Mansion goodies. With the opening of Memento Mori, now is the time to stock up on ghastly gifts! Cake Wrecks shares pretty Pixar-inspired cakes! DisZine features Disney-branded produce bags for apples. Encouraging kids to eat healthy! Eating (and Drinking) Around the World gears up for the Food and Wine Classic at the Walt Disney World Swan and Dolphin resort. DisneyCaribbeanBeach.com announces Halloween events at Disney’s Caribbean Beach Resort. Look for a candy corn guessing game and trick-or-treating! Main Street Gazette enjoys steak at The Hollywood Brown Derby at Disney’s Hollywood Studios.